Intelligent Protection International provides a very comprehensive Bodyguard Service in Paris, using highly experienced multilingual Bodyguards. Paris, the iconic capital of France is the personification of art, gastronomy and fashion. So it comes with little surprise that it is one of the most touristic cities in the world. With emblematic monuments such as the Eiffel Tower, the Arc de Triomphe and the Notre Dame Cathedral, the 'City of Lights' is charming and attracts over 30 million tourists a year. Every year, Paris is also the host of a number of significant events that attract visitors and VIPs from around the globe. Being the capital of fashion, the Paris fashion week is one of the most renowned of its kind and is always long awaited by fashionistas. Alongside this, major sport competitions also put Paris in the spotlight, with the French Open, Roland-Garros and the Tour de France. Sadly, since 2015, Paris has been under terror threat after enduring several terrorist attacks, thus, raising concerns for visitors to the city who fear for their security. To counter these risks, France did increase security at major tourist attractions and has enforced a new law, the counterterrorism law, to face up to the new challenges that France is subject to nowadays. On the other hand, touring through the 'City of Love' also has its downsides! Tourists showing signs of wealth can be targeted by pickpockets when they are wandering through the streets of Paris. Registered and licenced in France with an office in the Champs Elysées, Intelligent Protection International Limited provides Executive Protection Bodyguard Services in Paris and across France. We are the only British company to be certified by the French Government to provide Bodyguard Services in France. All of our bodyguards are highly-experienced and are certified in France, the majority of whom come from a French military and police background and know the city inside out, including the best restaurants. They can help you plan your itinerary from start to finish and organise your trip. To limit the language barrier when you are in Paris, most of our local operatives are multilingual, speaking English and other languages such as Spanish, Arabic and Chinese. Besides this, to support our Bodyguard Services in Paris, Intelligent Protection International Limited provides a free Travel Advisory for Paris, with live security updates and Paris-specific emergency contact details. Additionally, we can supplement our service with the use of specialist chauffeurs and arrange airport pickups including meet and greet for clients arriving at Charles de Gaulle or Orly airports and VIP terminals, and at Gare du Nord station for Eurostar travellers. If you are seeking some guidance or further information, please either make contact with us, or see our Paris-specific blog articles on the subjects of Hiring a Bodyguard in France and if your interest is in armed bodyguards, please see: Armed Security Services in France. The Directors of Intelligent Protection International Limited have in the past provided commentary on security issues in Paris, surrounding the use of Bodyguards. Press coverage includes BBC World News' The Travel Show and a number of other interviews on the issue of the Kim Kardashian robbery in Paris, France in 2016. Both of these interviews are available in the links in the 'Related Press Articles' section or via our 'Media Library'. 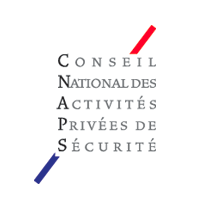 If you have a media enquiry about the use of Bodyguards in Paris or on wider security issues in Paris, please do contact us. Can we supply female operatives? Yes. Intelligent Protection has a vast network of operatives from around the world. Often clients with young families like to have the peace of mind that a gentle, more covert approach is being taken to their children's security. This is a role that lends itself well to female operatives. Yes. We have a number of partners that we work with. It's not just about supplying vehicles, it's more about the right vehicle and driver for the task at hand. All of our operatives are qualified to a minimum of FPOSi, a British qualification. They would also have received training during their Military Service or tenure in the Police, many to a very high level. All of our operatives carry first aid or trauma packs as standard, with larger packs in our vehicles. Sign up for our monthly newsletter to receive our company updates, the latest blog articles and job opportunities. Intelligent Protection International Limited - Registered in England & Wales (6862831) - Registered in France SIRET 828 083 022 00016 - France CNAPS Licence: AUT-075-2116-05-17-20170601680 - Copyright © All Rights Reserved. Part of Intelligent (UK Holdings) Limited group of companies.